CINCINNATI, OH, and CHICAGO, IL - Even though people still wonder if folks actually want meal kits, Kroger and Home Chef are betting on the fact that consumers definitely do. 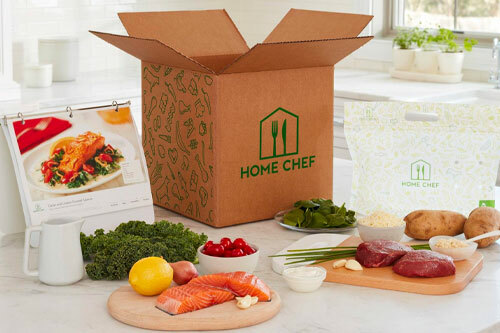 Introducing retail meal kits to new cities, the retailer is upping the number of stores carrying Home Chef’s kits to an additional 500 stores. On top of that, homechef.com has launched a customizable meal kit feature for online orders, allowing customers to have more flexibility in deciding what they want for dinner. How? By providing consumers the choice to change and upgrade recipe ingredients. Game changer! According to a press release, Home Chef’s fresh, pre-portioned ingredients and simple recipes are sure to knock the socks off any foodie. Each week’s rotating retail menu showcases a variety of meals, including Home Chef Express meal kits that can be prepared in 15 minutes or less! Talk about convenience. Each meal is designed to serve and starts at $8.50 per serving. For the latest in retail news, keep reading AndNowUKnow.